On Friday, March 22, 2019, Robert Peter Gastelum, loving husband, father, grandfather, brother, grandson, cousin, uncle, nephew and friend, passed away at age 50. Robert was born on May 25, 1968 in Sunnyside, WA to Nelda Esparza. He graduated from Sunnyside High School in 1986 and went to basic training and AIT for the Army in Fort Leonard Wood, MO. Robert was stationed in Karlsruhe Germany until 1989. 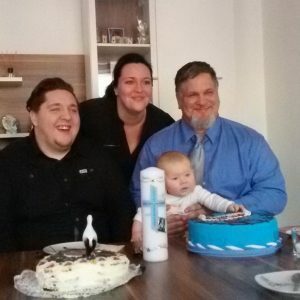 While overseas, Robert had 2 children; Anna and Michael. Robert stayed in the Karlsruhe area until 1995 before returning back home to the Yakima Valley. Robert worked at Darigold for several years in Sunnyside. 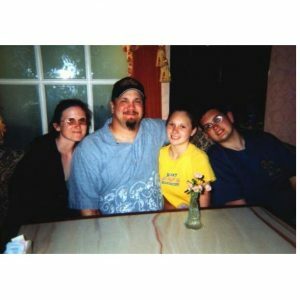 In 1997, Robert was introduced to Donna and her children Jessie and Amanda by mutual friends, and they were married the following year. Robert and his family spent 5 years in Union Gap before his wife Donna joined the Army and they relocated to Germany so Robert could be closer to Anna and Michael. In 2005, Robert started working for the Boeing Company, and was relocated to South Korea for 1 year. After their time there, in 2008, Robert and Donna relocated to Arizona where they lived for 7 years before moving to New York in 2015. 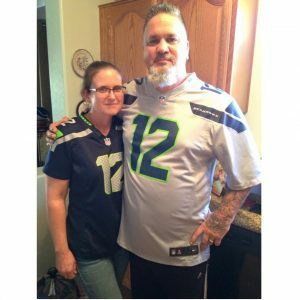 In late 2018, Robert traveled to Oregon with his wife Donna to pursue alternative treatment for his MF’N disease, which he ultimately succumbed to. 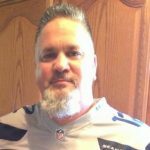 Robert had a passion for Riding the Harley, traveling, skydiving, golf, and being a Grandpa. Robert logged well over 400 jumps during his years of skydiving. Robert loved to travel with his wife and partner in crime. He has visited 25 countries on 3 continents: Germany, the Kingdom of the Netherlands, England, Scotland, Ireland, Northern Ireland, France, Belgium, Spain, Switzerland, Austria, Luxemburg, the Czech Republic, Italy, South Korea, Iraq, Afghanistan, Kuwait, Dubai, China, Thailand, Saipan, Mexico and Canada. Robert loved taking long trips on the Harley, having driven through many countries and states with Donna right by his side. In 2008, Robert become a Grandpa for the first time and proudly took on the title. 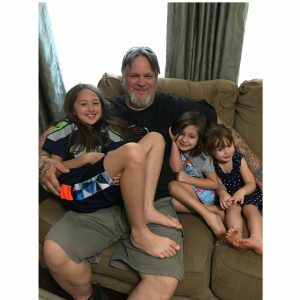 Robert had 3 beautiful granddaughters and 1 handsome Grandson. Robert was known for being a bit of a smart aleck, he was sarcastic and witty, but loving and kind, often being referred to as a big ol’ teddy bear. Don’t let the tattoos fool you, he only looked scarier than he was. Robert absolutely loved Halloween, often setting up haunted houses and getting in costume. At Christmas, he loved dressing up like Santa and surprising his grandchildren. Robert was a fierce protector for the people he loved and would do anything for his family and friends. He made sure we were always taken care of. He would not want us to sulk forever; if he were here now, he’d tell us to quit crying and reassure us that we’ll be ok. Robert was spiritual and believed in a peaceful afterlife full of love. Although we greatly miss seeing him, hearing his voice and joking around with him, He is now resting and will be patiently waiting to greet us on the other side. Robert was preceded in death by his mother, Nelda. He is survived by his wife of over 20 years, Donna (Ransier), his four children, Anna, Michael, Jessie, and Amanda, his four grandchildren, Danny, Emma, Vera and Nora, his father, Enrique, his brothers Enrique and Mario, his grandma Mary Esparza, and several cousins, nieces, nephews, aunts, uncles and friends. 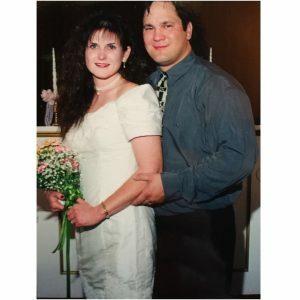 A private viewing for family was held on Saturday, March 23rd, 2019 at Omega Funeral and Cremation Services, and was cremated on Monday, March 25th, 2019. His ashes will be scattered across this wonderful world that he loved to travel. Until we meet again, live rich my gringo friend.